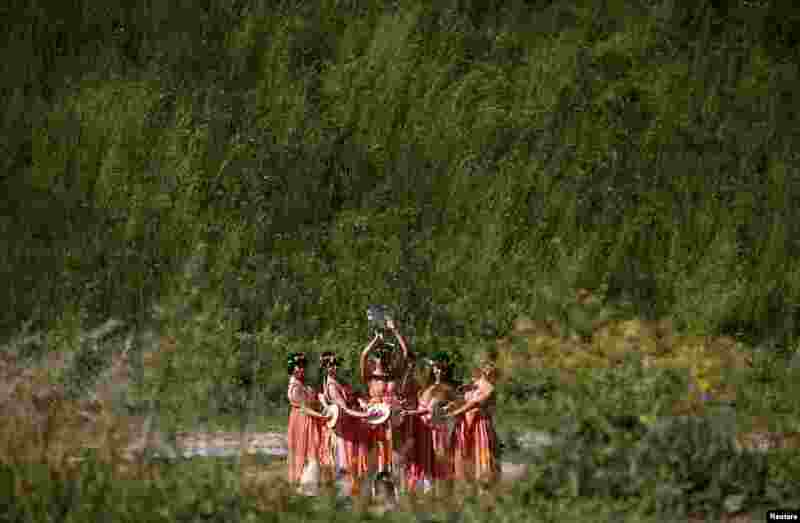 5 Members of the Gruppo Storico Romano (Roman Historical Group) dressed as dancers "Ninfe Nereidi" perform at Circus Maximus to mark the anniversary of the founding of Rome, Italy. 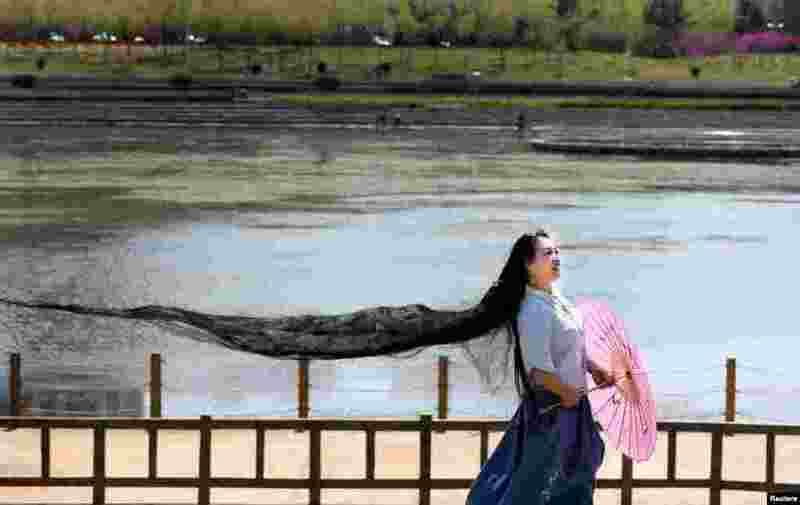 6 A woman with long hair poses for a picture in Weihai, Shandong province, China, April 22, 2017. 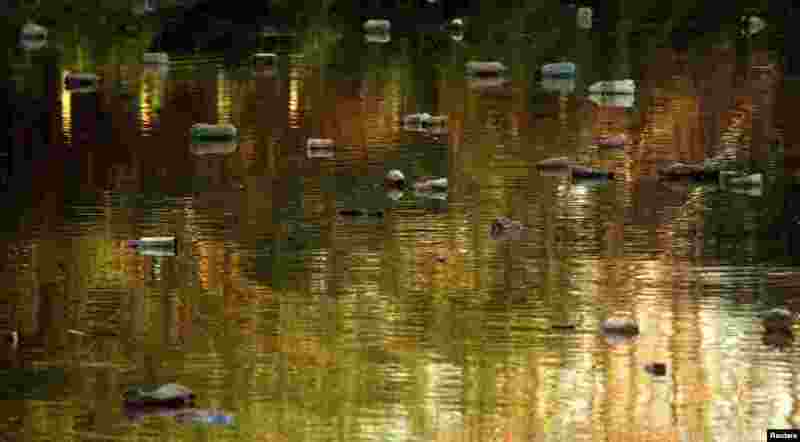 7 Trash is seen on the polluted El Claro creek on Earth Day in Tigre, Argentina, April 22, 2017. 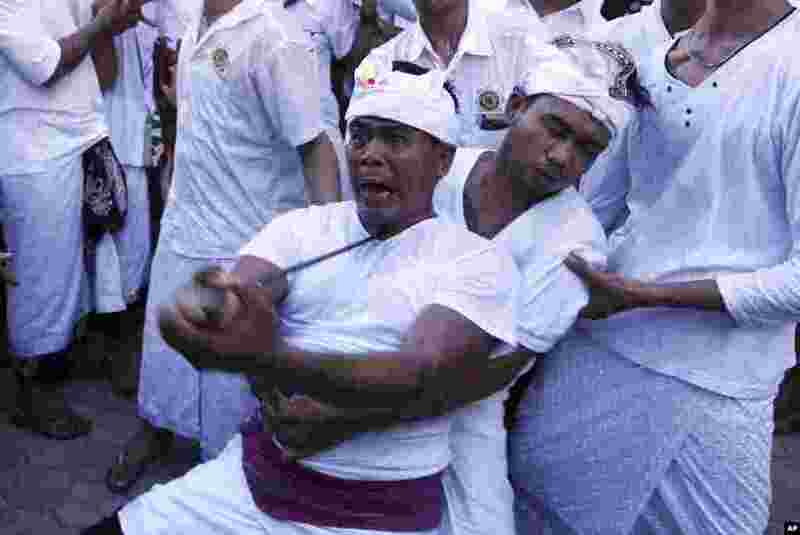 8 A man is placed into a trance like state with keris, traditional weapon, pointed to his neck during a hindu ritual called Ngerebong which is an ancient tradition of kesiman village, Bali, Indonesia.